One of the mistakes my students tend to make (almost all of them) is with adjectives. When they want to say “a lot bigger” or “much smaller” they say “nagyon nagyobb, nagyon kisebb”, and this is incorrect. The following picture shows you that the proper form here is “sokkal nagyobb, sokkal kisebb”. The possessive singular – Part 2. Have a look at the beginning of this lesson: The possessive singular – part 1. So how do you say that you possess something? How would you say that have got a dog or a cat or a house? The verb “van” is used to express the existence. “Van egy kutyám.” means “I have a dog”. “Van egy kutyád.” means “you have a dog”. What if you want to say you do not have something? Use the negation of “van”. 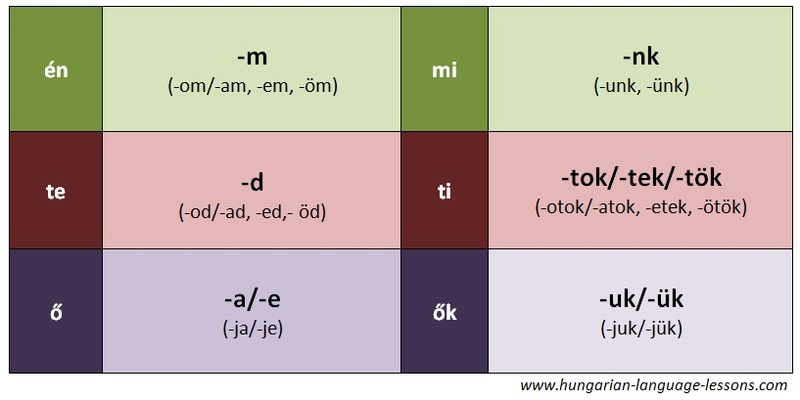 There is no such an expression in Hungarian like “nem van”, instead of this we use another word: “Nincs”. This word (which means “there is not” and is used to deny the existence of something) you will use without the article “egy” in the following sentences. nektek – for you pl. Remember, it is not neccessary to use these declined pronouns, but you can. Sometimes you need to emphasize as in the following example where two children are having an argument over a ball. Van egy labdám. – I have got a ball. Or you can emphasize that you don’t have something. Tudom, hogy van egy labdád. – I know, that you have got a ball. Nekem nincs labdám! – I do not have a ball!! Next time we will learn the possessive of nouns that end in consonants!!! 1. I have a cat. 4. We have a red ball. 5. She has a grandchild. 6. You (pl.) 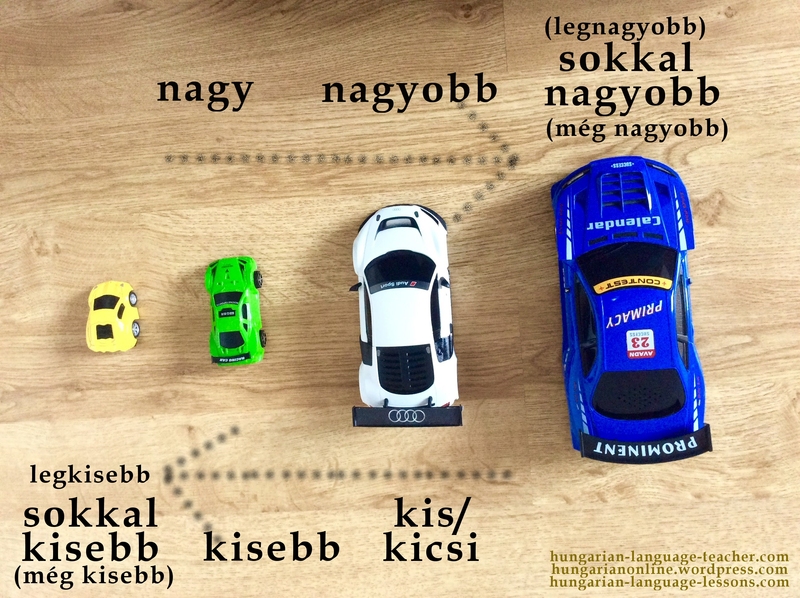 don’t have a Hungarian lesson today. Do you have any questions? Ask below in a comment. In part 1 you learned the possessive of nouns ending in a vowel. Now let’s see those ending in a consonant. Hány óra van? Mennyi az idő? 3. – What time is it? 3. Ígértem egy harmadik bejegyzést is az idő témával kapcsolatban. Az első bejegyzésben az időkifejezés egyszerűbb módjait néztük meg. A második bejegyzésben a bonyolultabb formák egy részét néztük meg. Megismertük, hogyan fejezzük ki azt, hogy valami egy bizonyos időn belül fog történni. A mai bejegyzésben pedig azt nézzük meg, hogyan fejezzük ki, ha valami egy bizonyos ideje történt. 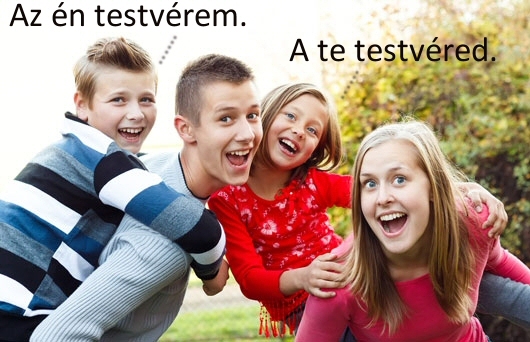 Természetesen az óránál maradunk, egyelőre. I promised you a third post about time. In the first blogpost we had a look at the simple ways of telling time. In the second blogpost we had a look at the more complicated forms. We got to know how to express, that something will happen in the future, after a little time. And now we will have a look at how to express, that something happened a little while ago. Of course, we will stick to the clocks by now.